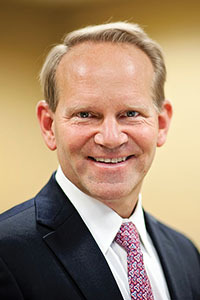 Eric Cremers is president and chief operating officer of Potlatch Corporation, a $4 billion diversified forest products company headquartered in Spokane, Washington. He joined the company in 2007 as chief financial officer and was immediately faced with designing and executing a major restructuring plan. In his current role, Cremers has profit and loss responsibility for the company’s three business units, which earn a combined $325 million per year. In 2017 he led the acquisition of Deltic Timber, a $1.2 billion forest products company headquartered in Arkansas. Cremers began his career with Exxon and later held positions advising senior management, as well as the board of directors, on corporate strategy and mergers and acquisitions for Cooper Industries, General Signal, Engelhard, Pillsbury, Piper Jaffray and Albertsons.